How & where to buy Bitcoins? The invention of Bitcoin is certainly one of the most interesting events of all time. The virtual currency, which is also known as a cryptocurrency is an electronic form of money that has been acquiring a large number of fans across the globe. The creation of Satoshi Nakamoto was first launched in 2009, and what is now one of the most popular cryptocurrencies of the world simply does not belong to a central bank or a single administrator in particular. Today, users of BTC, as it is also called, claim that one of the best things about the digital cash is its convenience. There is no need to store the money in physical devices such as credit cards or wallets. The cash can be accessed anytime and anywhere through a specific digital wallet, which is quite simple to set up and start using. 2 How to Get Bitcoin? 3.2 How to Buy Bitcoins via a Seller? 3.3 How to Buy Bitcoins via Exchange? Bitcoin is the currency of the future and has been attracting many investors in the past few years. People are becoming more interested in the virtual money as it offers a large number of benefits. Despite the safety of storage and the guarantee of a good investment, BTC is full of attracting advantages. For this reason, if you are one of the millions of internet users who are interested in it, think about getting it now as the prices will definitely go up in the future. There are plenty of forms to buy Bitcoin, and in this article, we will explore some of the easiest ways to acquire this precious digital currency. Even though it might seem like a difficult task at first, working with Bitcoin is something extremely simple, and anyone is able to acquire the “coins” online. Before proceeding into any type of transaction on the internet, it is important to understand the dangers of this vast universe. Regardless of the countless ways to protect yourself against scammers, they still exist in the virtual world, and in order to stay away from this type of cybercrime, it is extremely advisable to buy Bitcoins in a very safe manner. When we talk about buying this currency in the virtual market, there are two quick and straightforward ways to do it. The first one consists in acquiring them via exchanges, which will be explained further way. On the other hand, the buyer can opt to purchase them directly from an internet seller. In addition to being careful about the presence of scammers, buyers have to understand the technical details behind the transactions, such as the price and the payment forms. Talking from experience, the majority of Bitcoin users prefer to buy the currency through a credit card. The benefits of using a financial operator like Visa or MasterCard go beyond the convenience of paying whenever you want. Usually, the confidence that this payment method offers is what really draws the attention of the buyer. Nevertheless, Bitcoin lovers need to know that BTC costs an average of 10% more than usual when bought with a credit card. Furthermore, people who wish to afford some precious BTC in an uncomplicated way can also rely on a range of other payment methods such as debit cards, money transfers, and other cryptocurrencies of their interest. The variety of options is certainly motivational, especially for those who want to enjoy the benefits of this internet currency as fast as possible. How to Buy Bitcoins via a Seller? This is one of the most popular ways of buying Bitcoins. However, in order to be able to buy directly from a seller, the buyer needs to know where to find one, which is quite a simple task. In addition to forums created for Bitcoins appreciators, new buyers can find a seller through recommendations and other platforms that work with users discussing the topic. How to Buy Bitcoins via Exchange? 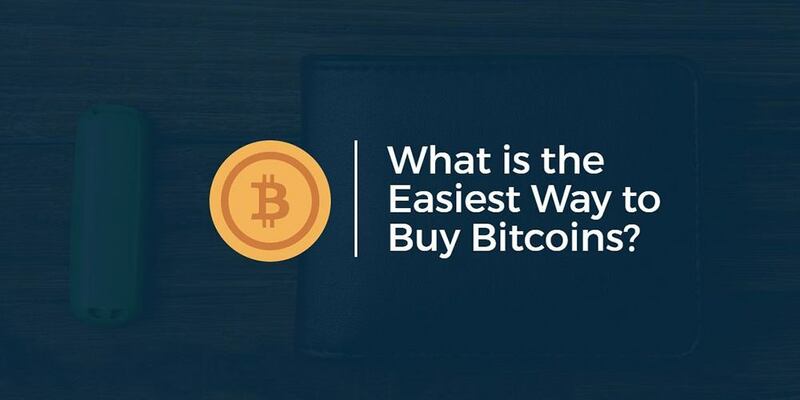 As mentioned before, buying BTC through an online exchange is not only possible, but it is also one of the easiest ways to do so. Exchanges are absolutely common in the cryptocurrency market, they happen very often and it’s very simple to find individuals willing to exchange. There are plenty of options as BTC users are usually connected to specific platforms such as itBit and LocalBitcoins. These platforms are always listing retail outlets for the purchase of Bitcoins. Moreover, another possibility is via a specific ATM machine that can send BTC to the user’s wallet in exchange for money. This is not only an extremely agile but also a safe alternative. Additionally, some devices were created to facilitate the process of exchange. Coin ATM Radar, for example, is a software that helps users find the nearest Bitcoin ATM in their area.